In the stately building that sits off North Summit Street on a side of Maumee River, the entrance path is adorned with snapshots of past commodores, some of them are very—Craig, DeVilbiss, Gunckel, Potter, McKesson, Luedke and Miniger. The earlier members of the TYC include those from iconic families —Stranahan, Taft, Tiedke, Ford, Mills and Richardson. The walls of one of the staterooms of the club hold over a century worth of trophies, each with a different take which could fill a chapter in the colorful autobiography of the club. 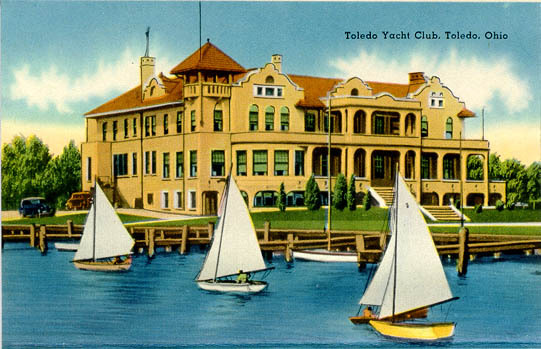 It appears fitting that when TYC marks their hundred and fiftieth year later this summer, the jubilation will see another treasure with an interesting and lengthy past. The Toledo Yacht Club would bring the grand ship Madeline for 4 days in July, and would offer tours of 92-foot schooner to members as well as guests alike, whilst it’s link up with plainsailing.com allows it to give great discounts on a charter yacht in the Solent for its members.